In recent times a number of new restaurants have opened their doors in different parts of the twin cities. Some of these differentiate themselves on cuisine, some stress on the fact that they are really quick service, and some are banking on providing customers an informal atmosphere. Here is a look at some of these places which are quickly making their mark on the local food scene. A brainchild of Rohan and Meghna, owners of the popular ice cream joint Oh So Stoned, this restaurant started operations at Karkhana in the second week of January. Serving both Indian and Pan Asian cuisine, it provides a good alternative for the residents of Secunderabad, who have not seen many restaurants opening in this part of the city. The menu has great choices both for vegetarians and non vegetarians. A must have is Paneer Kairi Tikka where spicy paneer combines well with thin slices of aam papad. Another paneer preparation Chatpata Paneer has a nice tangy taste. 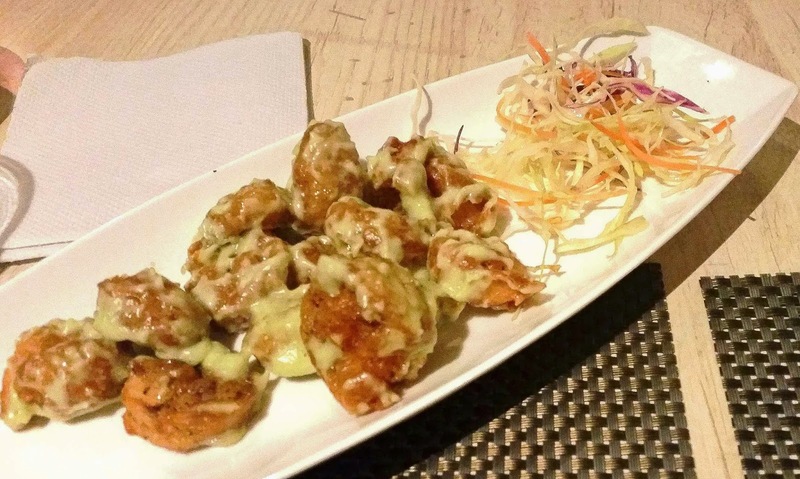 The Shrimp Tempura in wasabi mayo uses soft and succulent seafood, though I would prefer a bit more of the revered wasabi in the mayo. The Dragon Mushrooms in a sweet and spicy sauce are crisp and leaves a very nice aftertaste. 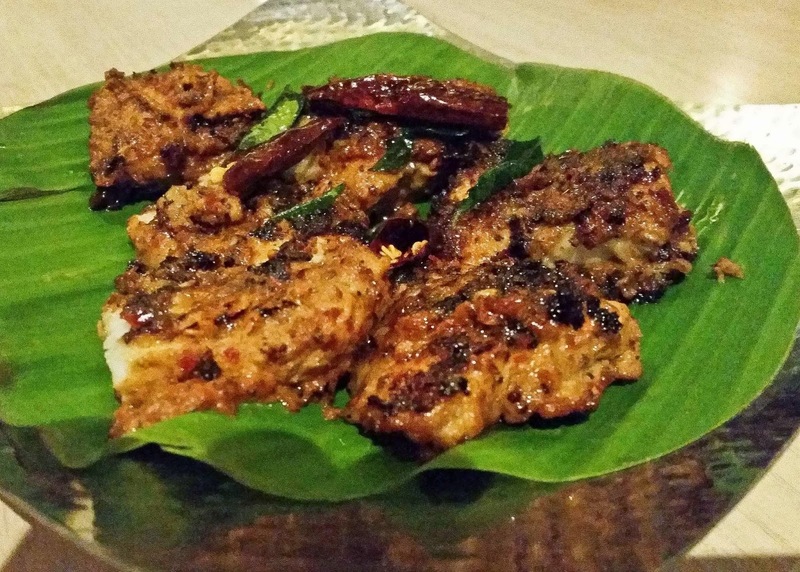 Fish Raechad is the spicy recipe from Goa. 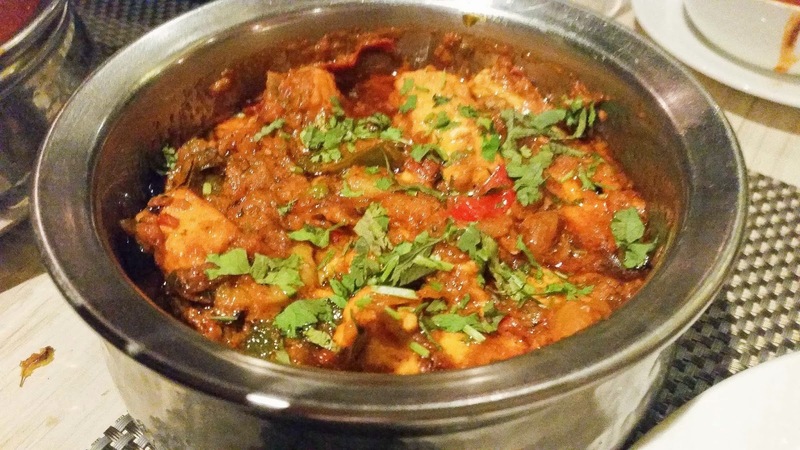 Among the main courses, their Butter Chicken is definitely one of the best in Hyderabad. 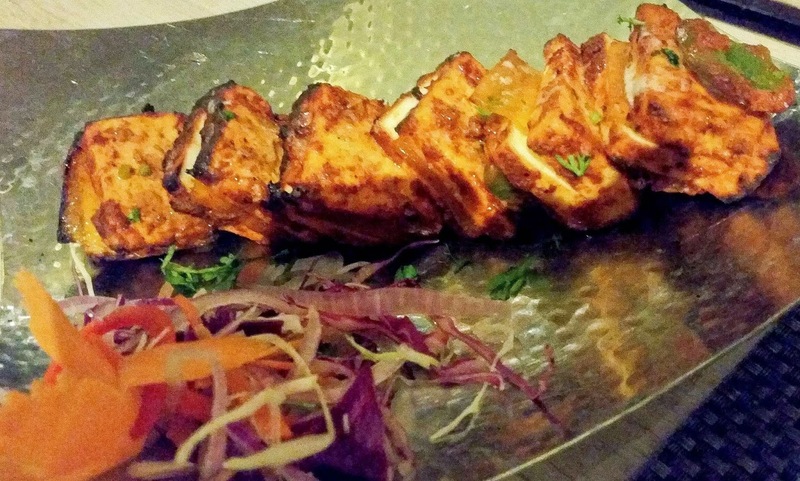 The Paneer Singada combines the taste of water chestnut with paneer. It is a new preparation which is perhaps not available elsewhere. The place also serves a variant of biryani known as the Chicken 65 Biryani which may find favour with the local palate. For desserts try their Baked Cheesecake. An odd name for a restaurant which replaces the erstwhile Blah Blah in Banjara Hills which shut its doors some time back. Spread over three floors, it has both outdoor and indoor seating. The menu offers hookah as well as select items from Asia as well as other parts of the globe. Of the starters, the Peri Peri Chicken will appeal to a lot of Hyderabadis. 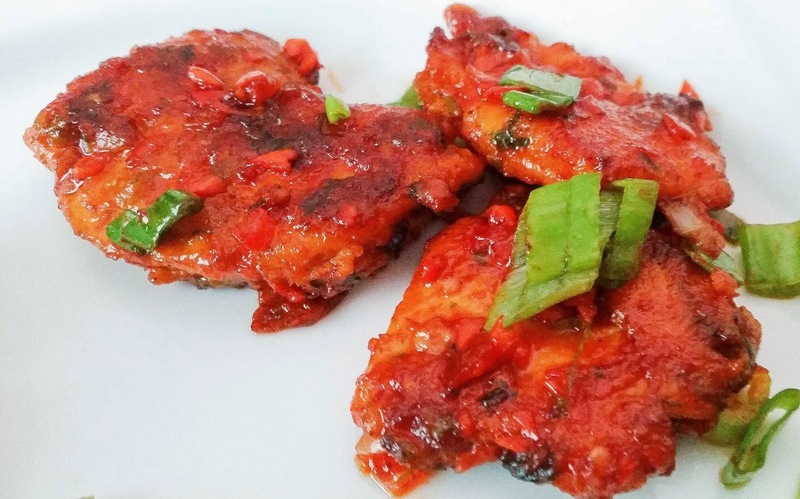 Soft chicken pieces are cooked to perfection in the spicy peri peri sauce . The Mongolian Chicken has bigger chunks in an Asian sauce. For people who are fond of tangy stuff, Grilled Fish with Chimichurri Sauce is the one to be tried. 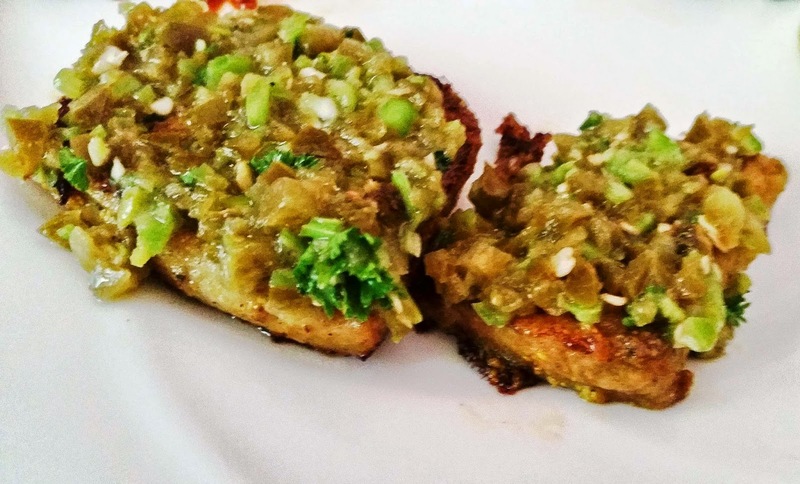 The quality of fish used is very good – though I advocate using less jalapenos in the topping. Samurai Roast Chicken is another dish that can be tried – an Oriental dark sauce based preparation. 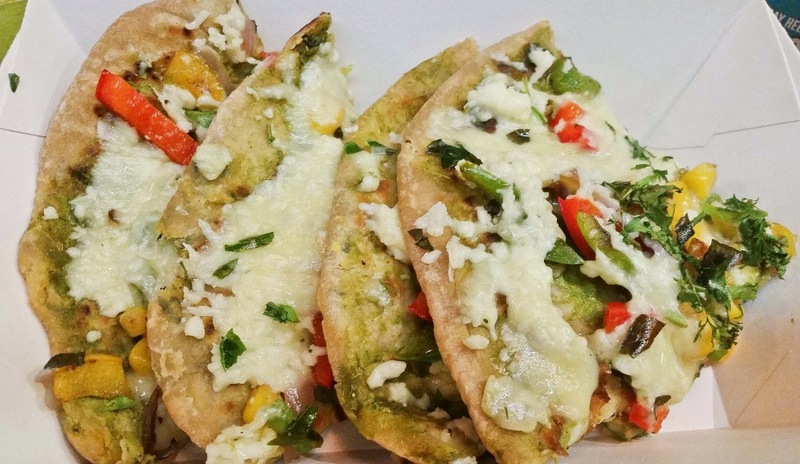 The chefs dish out some tasty fillings in their Quesadillas too. 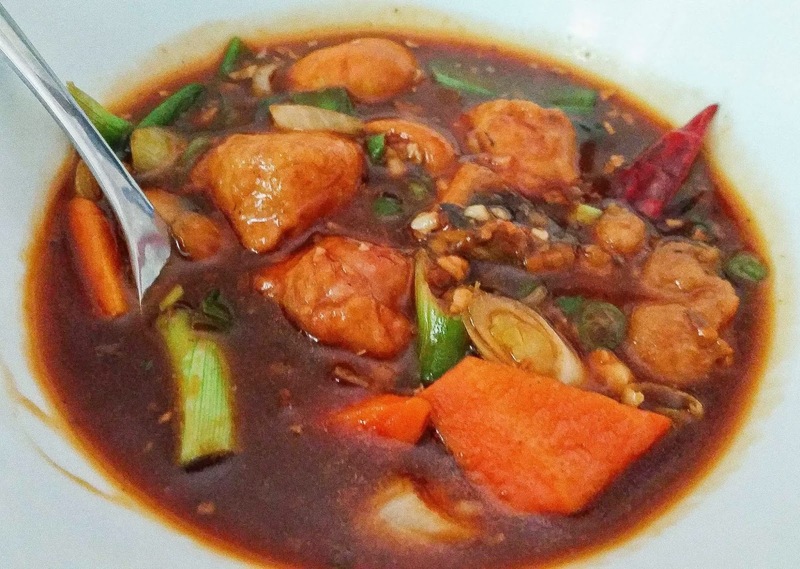 For mains, the Oriental Red Cooked Chicken Gravy with a lot of vegetables is a sure winner. It goes brilliantly with the Chili Garlic Chicken Fried Rice. A nice place to sit and relax. Enjoy the hookah with select starters and follow up with some niche preparations. The place is run by Mohit, who also owns the Blue Bottle Café at Madhapur. 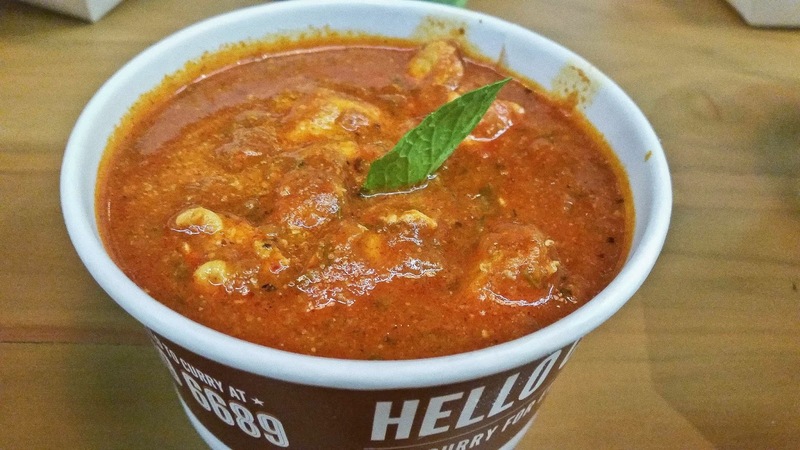 The brand Hello Curry is one of the most popular choices for home delivered food. Apart from the delicious preparations, they are also known for the attractive packaging of home delivered food. Enthused by the response to their spread, the management has now ventured into a dine-in opposite Cyber Pearl at Hitech City. The restaurant is in quick service format, where you need to go to the counter and order. Apart from most of the popular items from their home delivery menu, the restaurant offers a few new additions. A notable new addition to the menu is the Paratha Pizza. Available in both veg and chicken versions, it is a stuffed paratha topped with veggies, cheese and (optionally) chicken. 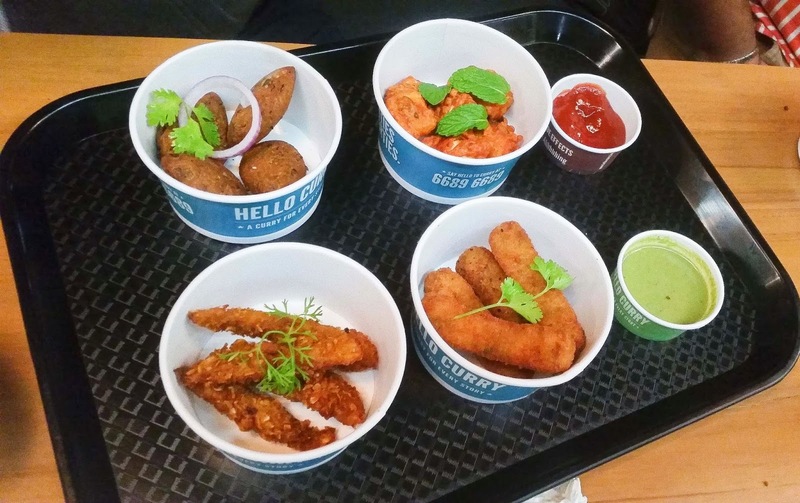 They also have quite a spread in veg and non veg starters – my particular favorites being Crispy Babycorn and the Crunchy Veg Fingers in veg and the Crumb Fried Chicken and Masaladar Chicken among the non-veg. For mains, try their All Andhra Veg Curry which is a nice dish prepared with an assortment of vegetables. Non vegetarians have a lot of good choices – from their Kashmiri Chicken to the spicy Karam Kodi as well as the Chettinad Chicken. They also have an assortment of biryanis and pulaos. Double Ka Meetha with whipped cream is a good dessert to try. I particularly liked the décor of this place – extremely informal with some wacky slogans on the wall. An ideal place to grab a quick bite either at lunch or after office. Also see: Restaurants in Hyderabad: A few new places to dine out. Disclaimer: Some of the items reviewed were part of tasting sessions organized by the restaurants. However the opinions expressed in the post are honest and unbiased.